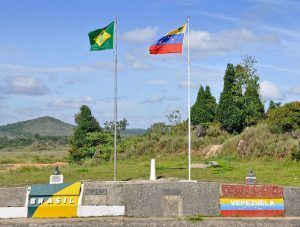 Around 800 Venezuelans get inside Brazil per day, today the number reaches 10% of the population of Roraima, in other words, something close to 49 thousand Venezuelans just in Roraima. The small town of Pacaraima (Frontier of Brazil and Venezuela) is supporting the Venezuelans as it can, the majority of them just want to escape from their country and doesn’t mind sleeping on the floor and on the street, escaping only of the rain and sun. Claim that Venezuela don’t have any food, they don’t have a job and the minimum dignity to survive, said the Venezuelans. 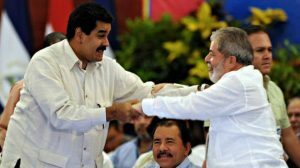 Complain a lot about their State and its effects: “The current president Nícolas Maduro, know for his partnership with the old presidents Lula and Dilma, destroyed the country”. In the frontier you see many money changing, that change the current coin of Venezuela for reais, what is crime in our country, however, there are no local police activity, neither from the Federal Police to banish the act. Michel Temer declared last week emergency state, but witnesses of the frontiers said that nothing changed. Barely starts the Federal Police’s shift in the frontiers, and you see gigantic lines to enter Brazil. The question is, is Brazil at the right time to give shelter to homeless?